Test Tube Cap is transparent for Test Tubes which proves to be an excellent protection to the contents to the tubes. The grooves inside the cap tighten the fitting on the tube while the outer grooves would hold identification labels. The built in seal ring would set in the tube making the combination a leakproof one. 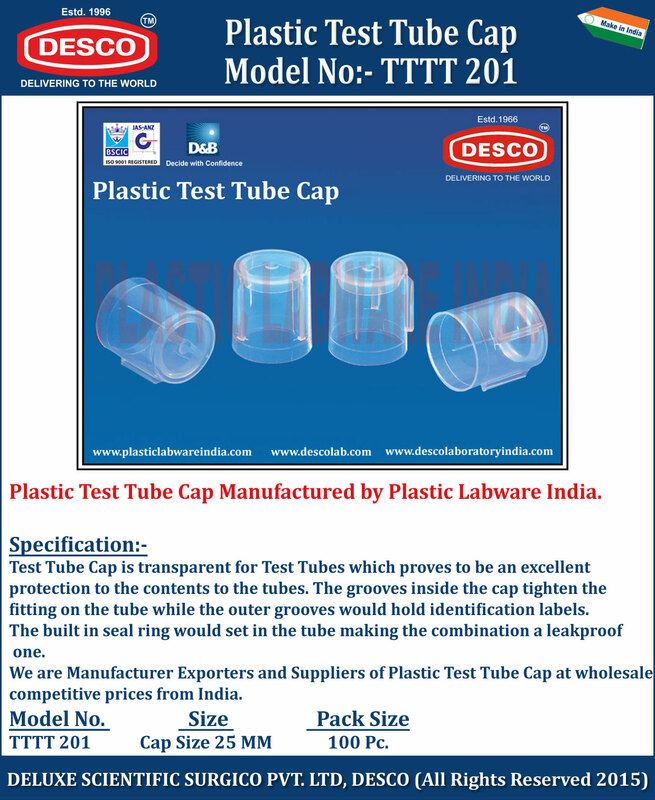 We are Manufacturer Exporters and Suppliers of Plastic Test Tube Cap at wholesale competitive prices from India. TTTT 201 Cap Size 25 MM 100 Pc.